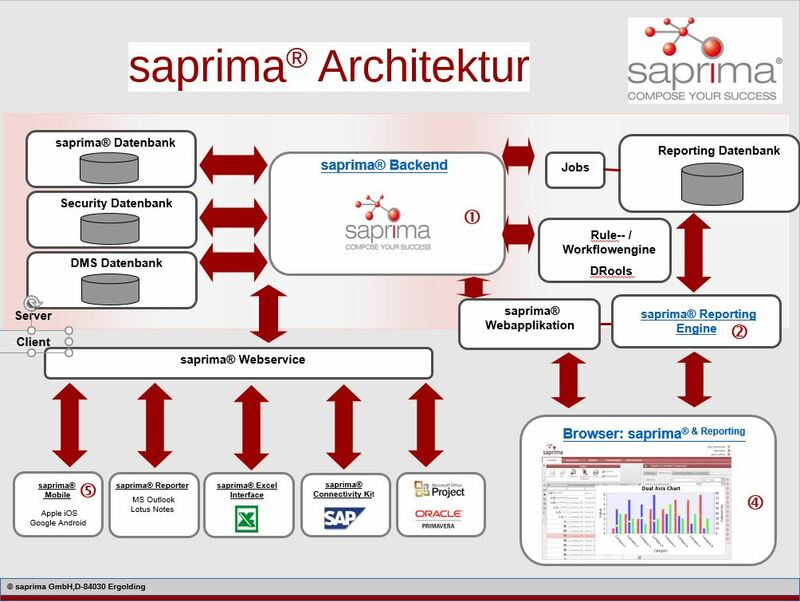 With saprima® implement Projectmanagement modular! Comments Off on With saprima® implement Projectmanagement modular! Do all disciplines of project management necessarily have to be applied? It makes sense to apply all disciplines of project management. Of course, and this is the point, the effort for project management should not exceed the benefits. So it certainly makes sense to look at all projects together and to classify them according to their priorities. After all, if problems occur, be it from a cost perspective or because of cpicity of scarcity of resources, it must be possible to decide immediately which project gets the resources or in which project the budget should not be lowered. Scheduling is important to communicate completion dates. Every discipline certainly has its advantage and is carried out in any way, either with or without a tool, in each company. It only depends on the detailing of the planning. So you can, for example Plan resources to the minute with a high degree of planning effort, or schedule a role-based plan every month or even every quarter. Why is saprima® particularly suitable as a project management tool? Due to the architecture of saprima® and the data model according to DIN 69901-4, it is possible to map all current methods and functions of multiproject management in saprima®. It does not matter whether the data is entered directly in the saprima® web interface or imported from other systems. Via the saprima® backend, the data is written to the database in standardized form and is thus available for further processing and for evaluations in the provided BI system from Jaspersoft. The data can also be provided by saprima® for a BI system available to the customer.In practice, you can carry out scheduling with forward / backward calculation and resource planning in one project and perform role planning in another project only at the project level. 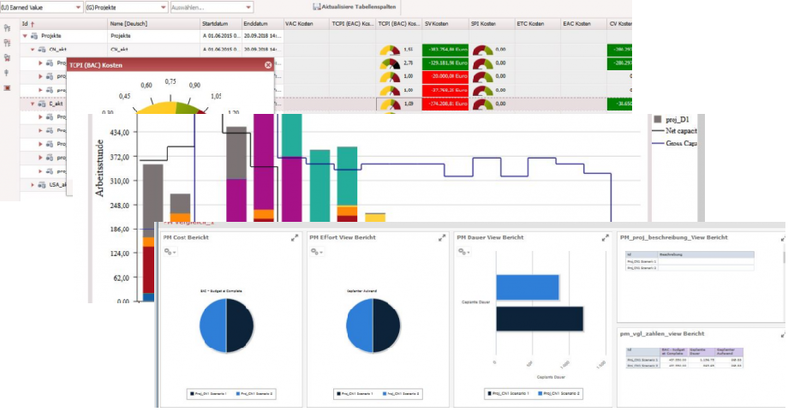 saprima® will provide you with standardized data in the integrated BI system for all evaluations. Due to the flexible import possibilities, it is not necessary for you to carry out all disciplines in saprima®; you can import dates and manage portfolio management, resource management … in saprima®. It is important to have an overall view of all projects that can be realized in a company, to evaluate them together. How can saprima® be implemented!